The famed Tench Vineyard sits at the western base of the Vaca Mountains in east Oakville, an area created by a landslide thousands of years ago. Red, rugged soils of clay and volcanic rock yield dark, gravelly, powerful wines with broad, voluptuous mouth-filling tannins and a depth of texture that is unmistakable and hard to replicate elsewhere. 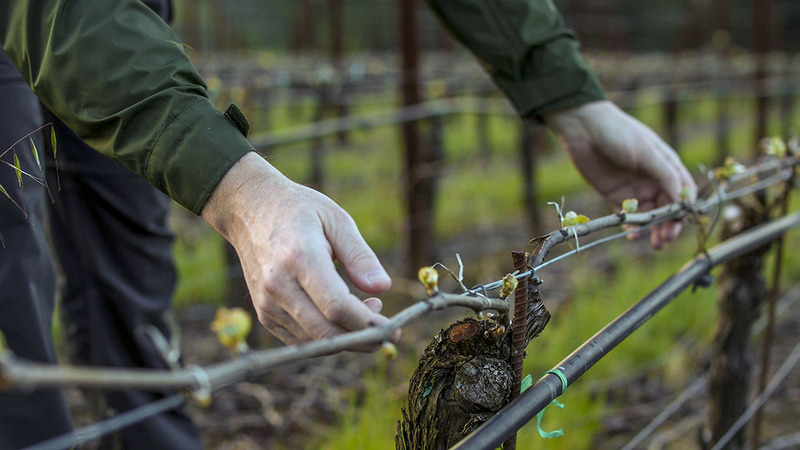 We harvest a tiny half-acre prized parcel of the site, near the top of the vineyard on the rockiest, most blood-red soils one can find in the entire Napa Valley. This is a single-harvest pick and fermentation, so the pressure is on to maximize all the site’s natural potential and thoughtfully shepherd the wine through its aging and bottling. This 2016 version is a guilty pleasure of a wine, totally consuming the senses. Deep, penetrating aromas emerge from an initial tarry, earthy headiness: black fruits, dark chocolate, graphite and black licorice with an interplay of fresh thyme and tobacco leaf. On the palate, an immediate expansion of rich, pure, black fruits harmonizes with supple, mouth-filling tannins, keeping the wine focused and precise, flickering between fruity and savory notes. There is a vertical drive to the wine that expands through a finish of bitter cocoa, sweet oak and spice. Drink between late 2019 and 2030.